Who Needs the Internet When You Have Synchronicity? This morning, my daughter, Julie, and I were showing my four-year old granddaughter, Serene, a map of the world and how to find North, South, East, and West directions. Somehow, the conversation got around to heading West from San Francisco where we live to arrive in the East—in Asia. Then, we explained to Serene how it was the explorer Columbus’ plan to sail west from Europe and eventually arrive in Asia as well, and that he knew he could do this because he understood that the earth is round. 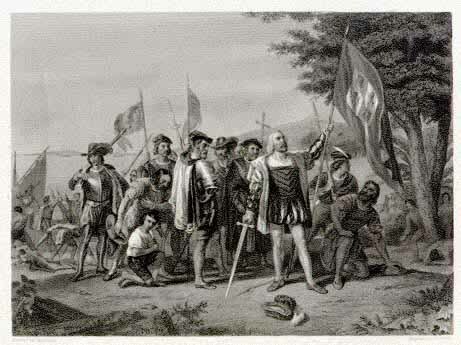 But we weren’t quite sure where exactly Columbus first landed. Julie thought the West Indies, and that sounded logical to me. Funny, we didn’t think to look it up on the Internet like we do everything else. Later in the day, I was pulling books off the bookshelf—an ongoing task to sort which books I want to keep and which to give away when we move to our new house in a few months. This time, I pulled three books to check out: At a Journal Workshop by Ira Progoff, The Intuitive Way by Penny Pierce, and a book I wasn’t familiar with (maybe my daughter’s, I thought, or one I had bought that I haven’t read yet) titled Memory of Fire: Genesis by Eduardo Galeano. I am blown away by the immediacy with which the answer to our question about Columbus came back to us and enthralled by Galeano’s writing in general. The book is a keeper!